AN INDONESIAN company has come to the aid of Travel Air and the partnership entered into, will enable it to continue its operations nationwide. 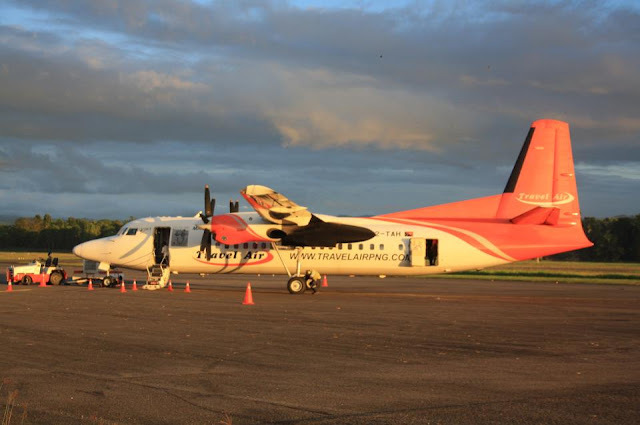 The announcement of the new joint-venture between the local airline company, also known as Mangi lo Ples, and Jakarta-based Trans Global Investment (TGI) was announced in Port Moresby yesterday by the Travel Air’s founder and chairman Eremas Wartoto and chief executive officer Captain Emmanuel Kadiko. Also present for the event were senior executives of TGI who arrived in the country on Tuesday to cement the deal. Travel Air’s operations were stalled last week and following a court decision relating to the company’s alleged failure to pay lease fees totalling about K21.2 million to an American-based company Aerocentury Corporation for its four aircrafts. However, both Mr Wartoto and Captain Kadiko had assured the airline would continue to operate. Mr Wartoto said under the joint-venture that TGI had agreed to provide three aircrafts so that it could continue servicing its loyal customers, 95 per cent of whom he said were grassroots. He said he had held talks, both with the Department of Transport and Civil Aviation and Safety Authority PNG, pending the necessary approvals that these aircrafts would be brought into the country. He said he expected that this would take at least up to a month. "As the founder of the company, the 350 families who rely on the airline, I want to say Travel Air will continue to operate as soon as we can bring the aircrafts into the country," Mr Wartoto said. Mr Wartoto said the decision to seek outside assistance was unfortunate but necessary to maintain this vital infrastructure and service. He said while government and financial institutions in the country had been approached that the airline had been knocked back, due to his association with the company. Captain Kadiko had on the issue of refunds, stated that the company had been able to reimburse about K800,000 to its customers and had assured those who had yet to get theirs, and would.